Is there something about dairy products that makes them particularly well suited for probiotics? UC Davis research indicates there may be. Probiotics, those living bacteria and yeasts that offer a variety of health benefits, especially for the digestive system, are now available to consumers in yogurt and a variety of other food products as well as in nonfood supplements. But little is known about how the products containing those probiotics might influence their effectiveness. Could it really be important whether you consume a probiotic in yogurt or other fermented foods and beverages rather than in a supplement? And is there something about dairy products that makes them particularly well suited for probiotics? “Taken together, our findings indicate that the manner in which a probiotic is delivered — whether in food or supplement form — could influence how effective that probiotic is in delivering the desired health benefits,” said Marco, an associate professor in the Department of Food Science and Technology at UC Davis. In both of the preclinical studies, the researchers examined the performance in the intestine of Lactobacillus casei, one of the most common probiotics, frequently found in yogurt and other dairy foods. It has been shown to be helpful in preventing a host of digestive problems ranging from diarrhea and lactose intolerance to more severe, chronic disorders including inflammatory bowel disease, or IBD. While dairy foods such as yogurt are often used to deliver probiotics commercially and in clinical research trials, it has been unclear exactly why dairy products are preferred over other foods and beverages or nonfood supplements, Marco said. 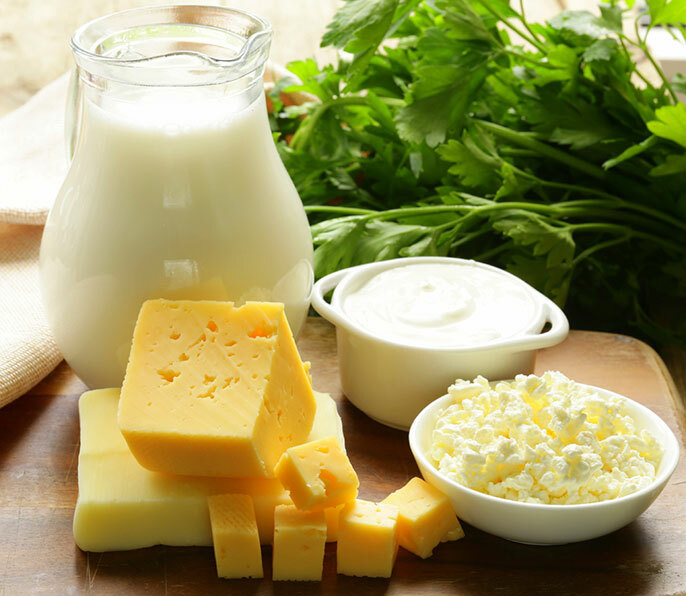 She noted that two suspected benefits were the dairy carbohydrates that support the growth of the probiotics and the potential for dairy foods to buffer the probiotics from exposure to acidic conditions in the stomach. In the first of the two UC Davis studies, published July 7 in the Journal of Proteome Research, the investigators tested whether the low temperatures at which dairy foods are stored might better prepare the probiotics to survive and function in the intestine. They compared how a particular strain of L. casei, allowed to incubate in refrigerated milk, persisted in the intestine compared to when that probiotic was delivered in milk without the cold-temperature incubation step. The researchers found that 205 L. casei proteins were produced either at higher levels or exclusively when the probiotic was allowed to incubate in refrigerated milk, and that these proteins, which were produced before the dairy product was even consumed, were key to survival of L. casei in the digestive tract. In the second study, published July 10 in the journal Applied and Environmental Microbiology, the researchers compared L. casei delivered in milk to milk alone and to L. casei delivered in a nonnutritive, buffered medium, in terms of the effectiveness in preventing symptoms of IBD in mice. Lead author on both of the papers was Bokyung Lee, a postdoctoral scholar in the School of Veterinary Medicine’s Comparative Pathology Laboratory. Also collaborating with Marco and Lee were other UC Davis researchers in the Department of Food Science and Technology, the Genome Center, and the School of Veterinary Medicine.